Time to gather up the clan and head outdoors for the adventure of a lifetime. Resplendent with a never-ending tapestry of remarkable views and packed full of so many things to see, do, and explore, Highland Perthshire serves as the ultimate destination for your family’s adventure break in Scotland. Meanwhile, here at the Dunalastair Hotel Suites in Kinloch Rannoch, you’ll find everything you need to ensure the whole clan enjoys a Scottish getaway they’re guaranteed fall in love with. Hiking, Cycling, or Fishing? What’s Your Ultimate Highland Experience? Life would get pretty dull pretty quickly if we were all the same, which is why we’re always so delighted to meet such a diverse range of people here at our five-star hotel in Highland Scotland. From honeymooners and hopeless romantics to fitness fans, fishermen and more, literally every type of holidaymaker makes their home at the Dunalastair Hotel Suites whilst searching out their own ultimate highland experience. Yet if there’s one thing we’ve noticed, it’s that there are three types of people we attract more than most. Thanks to the rise of low-cost flights, hotel comparison sites and widespread access to a wealth of information on just about every imaginable destination, couples planning their dream wedding are no longer tied to their home area when it comes to finding the perfect destination. Indeed, for modern couples looking to add that all-important sense of luxury and prestige to their big day, the world really is their oyster. There’s just a month to go before one of Scotland’s most illustrious cycling events returns for another year, and here at the Dunalastair Hotel Suites in Kinloch Rannoch, we’re proud to offer our last remaining luxury suites for those attending the 2018 Etape Caledonia. Now in its 11th year, Etape Caledonia attracts record crowds to Highland Perthshire each spring, with over 35,000 dedicated cyclists and countless friends, family, and fans joining them since the debut event back in 2007. From the moment we re-opened our doors last May, the team at our luxury hotel in Perthshire have always gone out of our way to deliver the kind of first-class service and exceptional comfort you’d typically find at some of the world’s most prestigious five-star hotels. Now, we’re thrilled to announce that we’ve joined the ranks of those illustrious venues after Visit Scotland granted the Dunalastair Hotel Suites official five-star status, making us one of the country’s top luxury hotels. For you, that long-awaited weekend break in Scotland you’ve been dreaming about for months is about more than just a chance to take in the awe-inspiring scenery, doesn’t it? It’s about more than a chance to finally experience some of that famously friendly Scottish hospitality you’ve heard so much about, or even the opportunity to sample some delicious Highland cuisine. It’s often said that Scotland is every Instagrammer’s dream come true, and who are we to argue? From the dramatic vistas that surround your Perthshire hotel to the ancient monuments scattered across the Highland wilderness, everywhere you turn there’s another stunning view, another remarkable landmark or another fascinating piece of history that just begs to be snapped. It’s been a long, gruelling slog, but we finally made it. 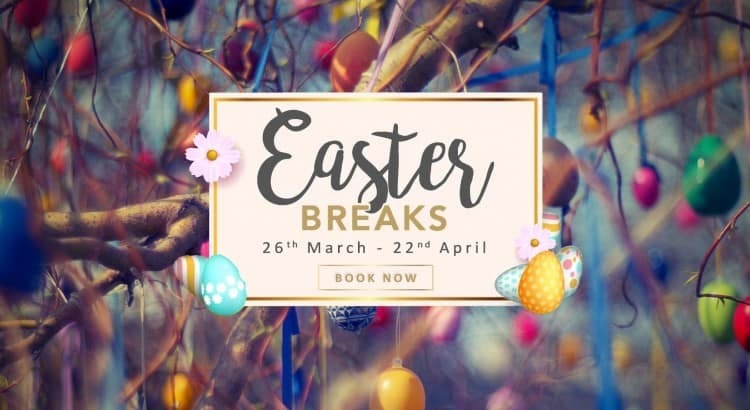 Yes, the 2018 Easter Break is upon us at last, and here at the Dunalastair Hotel Suites, we’re eagerly awaiting the day we get to welcome mums, dads, and children of all ages to our Perthshire hotel for a family holiday in Scotland they’ll never forget. Doesn’t our rural location in the heart of the Highlands and our unrivalled commitment to comfort and luxury make us more suited to relaxing weekend escapes than fun-filled family adventures? A true haven of tranquillity in the heart of Highland Perthshire, Kinloch Rannoch has long enjoyed the attentions and affections of the world’s media. First, it was the likes of Forbes, Harper’s Bazaar and The Telegraph that lavished praise on our Loch Rannoch hotel. Now, it’s Channel 4 who have added their names to an ever-growing list of those that have fallen head-over-heels with our Highland Charm. Where would we be without our mums, grandmothers and wives? They’ve done so much for us over the years that there’s no way we could ever truly repay them, is there? Maybe not, but that doesn’t mean we can’t go all out until we at least come close to making up for all the unconditional love and support they’ve given us over the years.